Each year, the University of California, San Diego (UCSD) organizes Triton Day, a day for prospective undergraduate students and their families to explore the campus and all it has to offer. Falling on Saturday, April 8th this year, Triton Day provided visitors with information on everything from academic tracks and requirements to financial aid and support for adjusting to college life. Tours of the UCSD main campus and Scripps Institution of Oceanography (SIO) were also offered throughout the day. CW3E shared current research efforts during the the day’s Academic Information Fair. Prospective students and family members were drawn in by the various weather instruments on display, measuring wind speed and direction, temperature, humidity, rainfall amount, atmospheric pressure, and incoming solar radiation. Similar instruments are used by CW3E to make observations helping address weather and water-related science questions. 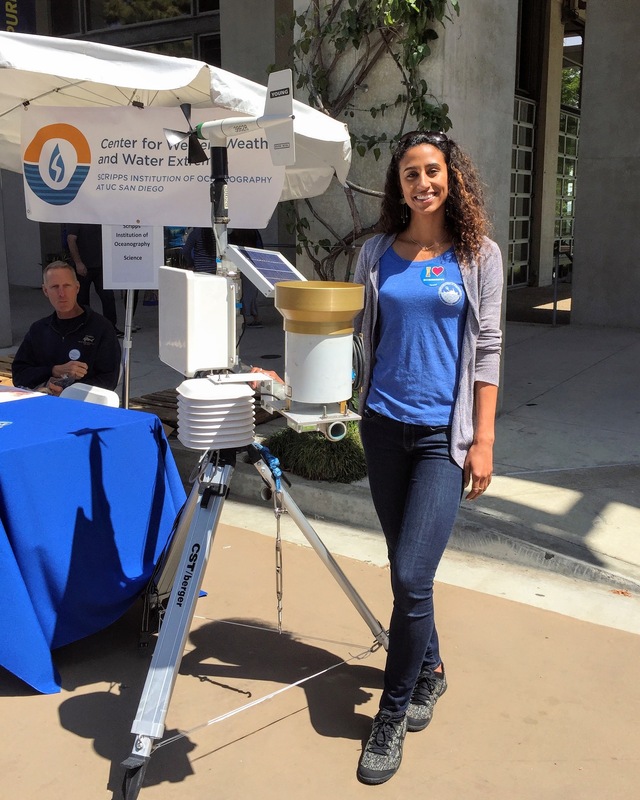 Researchers, including graduate and undergraduates students, use measurements from these instruments to study atmospheric rivers and their impacts. Observations also feed into CW3E’s weather model, West-WRF, which is specifically tailored to provide forecasts for the West Coast. 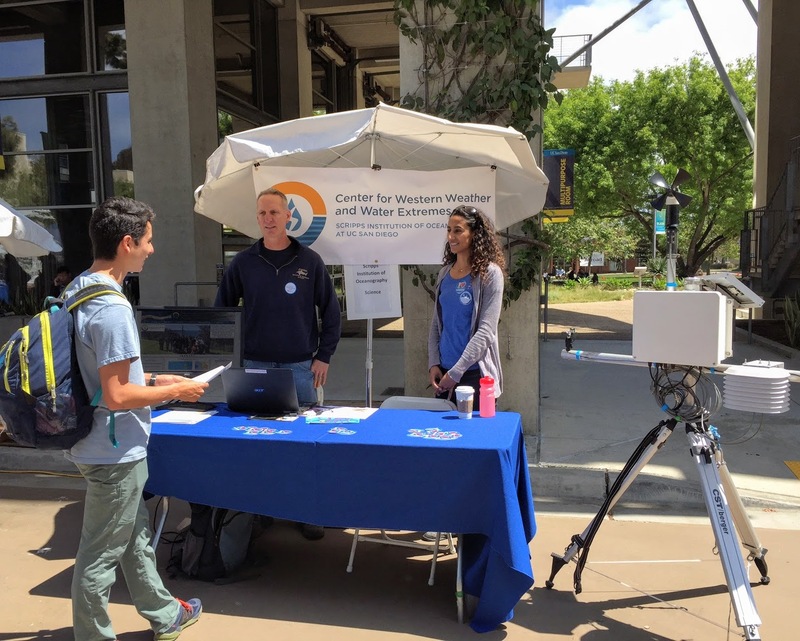 Douglas Alden, engineering mentor, and Tashiana Osborne, Climate Sciences graduate student, speaking with visitors about meteorological instruments and ongoing CW3E research. Photo credit: Brittany Hook; SIO Communications Coordinator.